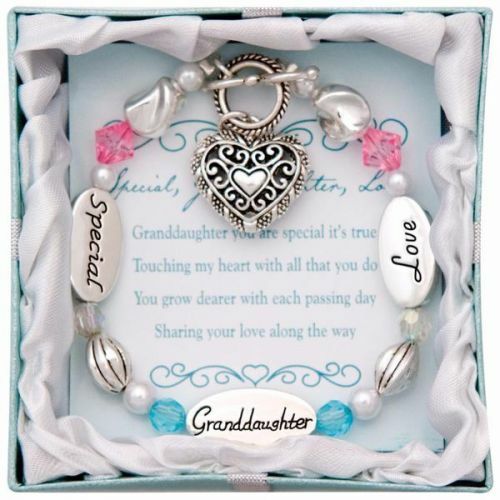 A gorgeous gift for a beloved granddaughter, this bracelet reminds her that she is special and loved by her grandmother. Decorated with stainless steel charms and pink and blue jeweled beads for pops of color, this piece comes with the gorgeous gift box as pictured. The bracelet measures 8" around.